Yotam Ottolenghi and Sami Tamimi go on a journey to explore the flavours of their childhood, flavours that made Ottolenghi what it is. Now accomplished chefs, they don’t only explore their families’ cuisine, but also delve into the incredible richness of this exciting city. The result is a book bursting with incredible recipes, intriguing stories and striking images. 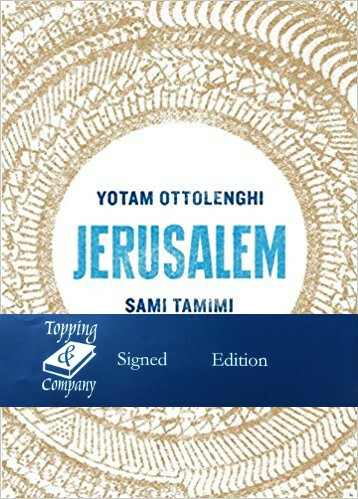 This book was signed by Yotam Ottolenghi at the Topping & Company Bath Autumn Literary Festival 2017.